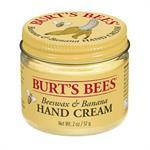 Dry hands happen. 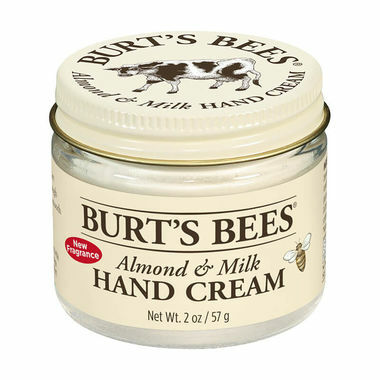 That’s why Burt's Bees super rich, natural hand cream has Sweet Almond Oil and Vitamin E to hydrate and shield your hard-working skin. What better way to lend your hands some much-earned help? 99.9% Natural. Cold-pressed from the dried kernels of the Almond Tree, Sweet Almond Oil is a medium-weight oil rich in Oleic and Linoleic Acids, proteins and Vitamin D. It’s also known for its ability to soften and recondition lips while helping reduce moisture loss. No wonder everyone’s nuts for it? 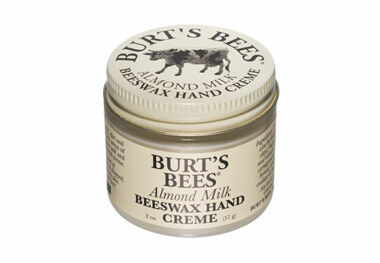 Apply a small amount of Almond & Milk Hand Cream to dry or rough hands and massage into skin. 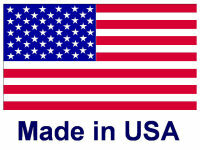 Also useful for elbows, knees and feet! 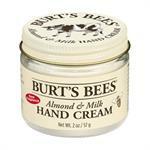 Give your dry hands a taste of the good life with this velvety rich, natural cream. It’s lovingly made with Aloe Vera and Vitamin E to moisturize while Beeswax conditions. But the pampering doesn’t end there. Almond Balm After Shave is formulated to soothe and cool your skin as well, with the distinctive masculine scent of almond. Be assured: that subtle hint of amaretto, like all of our signature Col Conk scents, never overstays its welcome. Dr. Bronner's Almond Soap, liquid 4 fl. oz.